Suppose you have now gathered a substantial amount of material about your city. You need a strategy to use it for maximum effectiveness. You need discernment to understand what is important and what is not. You now need prayer and fasting and a plan. Hopefully you are not in this alone. There should be others who are sharing this prayer load with you and who will be able to help you discern various pieces of the puzzle. When I was mapping for the city of Toledo, God drew together a small band of us who all had different personalities and gifts. It constantly amazed me how the Lord used each of us differently. No one person had all the insight or all the answers. But together we had an amazing amount of accurate discernment and a good working strategy to utilize it. As you begin delving into a strategy for reclaiming your community for Jesus Christ, it is important to understand spiritual authority and legal rights. Satan only possesses the territory in any city where he has the legal right and spiritual authority to do so. Where sin has entered in or curses have been placed on the land, Satan controls it. You will not be able to reverse all that unless you first understand your own authority level and unless you are properly submitted to the authority over you. Sin in your own life will not only cancel your efforts to eject the enemy, it will open you and your family to attack, sometimes quite severely. I have seen the results of this firsthand; believe me, you do not want this to happen to you. So the question before you begin is: are you in a local church with a pastor who is acting as your spiritual authority? Does the pastor know what you are doing and does he approve? Is he willing to join you or at least support you in prayer? Are you reporting back to your spiritual authority on a regular basis? Do you feel God has called you to prayer mapping for your area? Have you repented of all sin in your life? PLEASE DO NOT PROCEED UNLESS YOU CAN ANSWER YES TO EVERY ONE OF THESE QUESTIONS. Your next step is to hold a prayer meeting with all the interested prayer partners and all the materials laid out for investigation. Begin by humbling yourselves and asking God to reveal what strongholds and curses are holding your community back from receiving the gospel. Pray over the materials and ask God to show you what is important. Usually, certain things will begin to jump out and there will be confirmation among the group. This is the way we did it for Toledo: we prayed after reviewing our mapping information and then each took a piece of paper and independently wrote down the five things we believed were the biggest strongholds in our city. Afterward we compared our lists and found that certain things were on everyone’s list. We knew those were the things that hit pay dirt. The individual plan for each area or city will be different so there is no absolute formula to follow. What I believe will be part of every strategy is prayer, fasting, prayer walking and a constant seeking of the Holy Spirit about what step to take next and exactly how to proceed. Generally you will be taking down strongholds in your community by uncovering what they are, repenting of any original sins which enabled them to stake a legal claim on your land, cleansing and re-consecrating the ground and pronouncing blessings where there were once curses. There will be private individual intercession and prayer meetings and cooperate prayer – possibly among several churches. There will be days in which to fast so that you can hear and see more clearly how to proceed. There may be prayer walks in order to apply prayer to specific sites which may be key to breakthrough. There will be continued discussion about how to interpret events and news. Finally, the real object is seeing results. When the spiritual atmosphere in your community changes for the better, the gospel can be presented successfully. Evangelistic projects can be planned with a favorable outcome. People will begin to be hungry for God and go to church. As we take back authority from the enemy we are proclaiming; “Thy kingdom come, thy will be done on earth as it is in heaven” (Matthew 6:10) as Jesus taught in the prayer we call the “The Lord’s Prayer.” Prayer mapping is just one tool in our arsenal to bring the kingdom of God alive in our city or community. 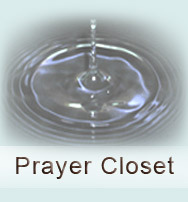 By praying with divine insight our prayers are targeted and effective. Did you know that the day will come when “the earth will be filled with the knowledge of the glory of the Lord, as the waters cover the sea”? (Habakkuk 2:14) If you are called by God to prayer mapping you are called to participate in hastening that wonderful day! Return to Part 1 of Prayer Mapping: Navigating the spiritual realm.